Teachers encourage student-centered learning by allowing students to share in decisions, believing in their capacity to lead, and remembering how it feels to learn. Have you ever attended a conference session and seen groups of teachers leave in the middle? It's painful to watch, yet completely understandable. Often, they leave because the session was not what they expected. Let's be honest: when teachers and/or administrators attend learning experiences, what is the one non-negotiable expectation -- without which the session is deemed a failure? Answer: Leaving with skills and strategies that can be used immediately to impact instruction and work-related responsibilities. Achieving this goal means understanding what the participants value, and engaging them in those areas. Effective professional development caters to what teachers think will help them become more effective. This also applies to their students. The learners may not be allowed to leave the classroom when the instruction doesn't involve them, but there are many other ways that they check out. Student-centered classrooms include students in planning, implementation, and assessments. Involving the learners in these decisions will place more work on them, which can be a good thing. Teachers must become comfortable with changing their leadership style from directive to consultative -- from "Do as I say" to "Based on your needs, let's co-develop and implement a plan of action." 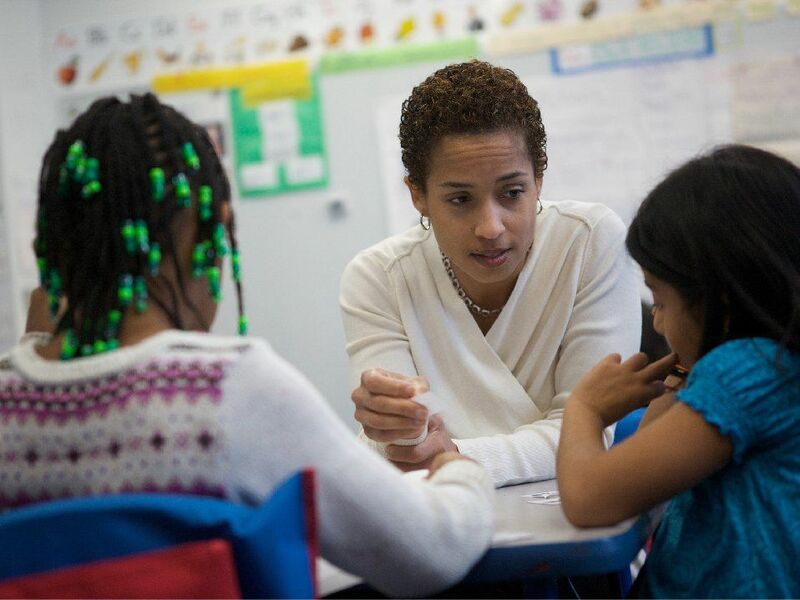 This first of my three posts on student-centered classrooms starts with the educator. As the authority, teachers decide if they will "share" power by empowering learners. Placing students at the center of their own learning requires their collaboration. They need a voice in why, what, and how learning experiences take shape. Why is about relevance. Learners need to understand the value of the subject, vocabulary, and skills before they are willing to invest effort. The answers "It's required curriculum," "You need it for the test," or "Because I say it's important" are intended to save time, but they only result in students giving lip service to the rest of instruction. Showing relevance from students' perspective is similar to teachers experiencing professional development that is job-embedded. What is learned involves students choosing the focus of content. Let their interests drive the content that teaches skills and concepts. For example, when learning how to write persuasively, some students may want to deconstruct commercials, product reviews, op-eds, and/or social issue points of view. The best strategy is simply asking what students want to explore. Start with a brainstorm of what they like to do, and dialog together to match their interests with the skills and concepts. How learning will be demonstrated depends on the different ways that students processes understanding. Offer a variety of product options based on what you know about your students. A safe approach is to offer three options. The teacher designs two options based on what most students may like to do. The third choice is a blank check -- students propose their own product or performance. If a proposal meets the academic requirements, perhaps with some negotiation, the student gets a green light. Some examples include using Minecraft to design models and prototypes, presenting through social media tools, or writing in a professional medium. Give students the chance to take charge of activities, even when they may not quite have all the content skills. Students are accomplished education consumers. The child in third grade knows three years of teaching and learning, and the high school sophomore has experienced ten years. While content increases in complexity, the school environment does not change dramatically. Students experience math, science, English, and history, plus other subjects, and interact with education experts (teachers). Veteran students, like experienced teachers, know what types of learning experiences work best for themselves. When educators feel that their professional experiences are respected during workshops and courses, their buy-in and involvement increases. Confidence rises as they understand how their existing expertise fits into the new concepts being taught. Children and teens have the same need for curriculum to be presented in a context that's meaningful to them. They need to understand how their existing talents fit and how they can confidently apply the skills in a meaningful way to their lives outside of school. Show real-world relationships where possible in lessons. 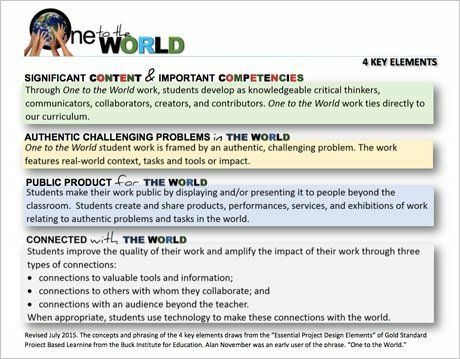 For a deeper experience, have students apply the skills in ways that support or enhance their current "real world." This can be approached in individual lessons or as a unit. For example, Loudoun County (Virginia) teachers, led by Dr. Eric Williams, launched One to World, which provides student-centered learning experiences. My fifth-grade son shared these words of wisdom regarding school vs. home activities: "Why do they (teachers) keep talking about the real world out there? This is my real world." Children and teens produce volumes of content through social media, such as YouTube, podcasts, Minecraft, and Twitch. Some earn money in the process. For their passions, these youths generate a following and join others as they establish and extend social networks. When these same content authors and entrepreneurs enter schools, all that they know and can produce is set aside. Yet when they leave school, they collect skills left outside and reconnect with their real-world networks. Students bring much to the table that would engage and deepen their learning journey. My next two posts will delve into empowering learners in a student-centered classroom. The difficult challenge -- and first step -- is teacher commitment to reflect on practices that support students taking the lead.